Spring Nail Colours 2015 – I know that it’s not just me that’s waving ‘Goodbye‘ to winter and with all this gorgeous weather we’ve been having in the UK I thought it would be a good time to choose and share my Spring Nail Colours for 2015! As you can see I haven’t completely ditched the deeper shades – even though we all seem to gravitate towards brighter shades in the Spring there’s something extremely elegant about rich tones that I love all year round! Even in the summer – burgundy is my favourite colour to wear with a tan as it compliments it beautifully and looks very classy and quite polished! Below I’ve linked through the nail polishes so you can just ‘Click & Shop’ if any of the colours take your fancy! Next Post £1 Acrylic Makeup Storage? 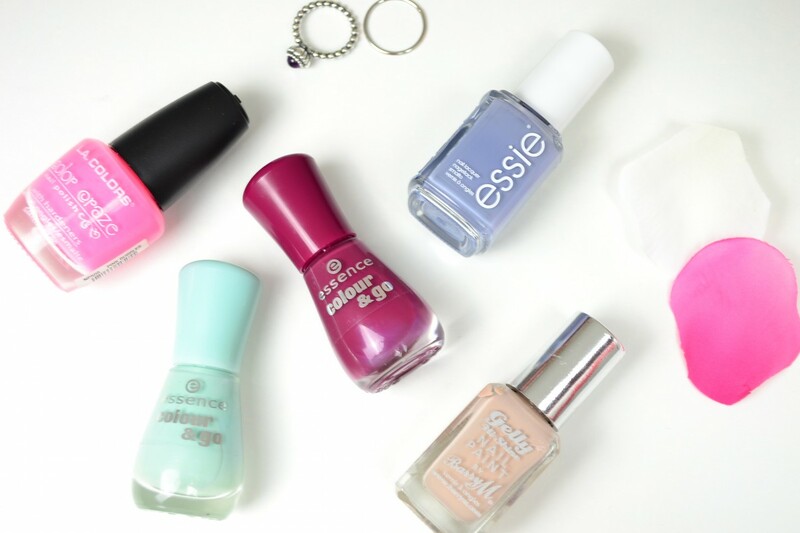 To be honest ,i love my dark shades all year round , but it wont be bad to try some pastels for spring. I love your selectiona ,especially the burgundy one. Beautiful spring selection. I love pastel shades for this time of the year 😀 Happy Sunday Layla!